Leng Records is kicking off its 2019 release program by offering a debut to a previously unheralded producer from Russia’s fast growing nu-disco underground. 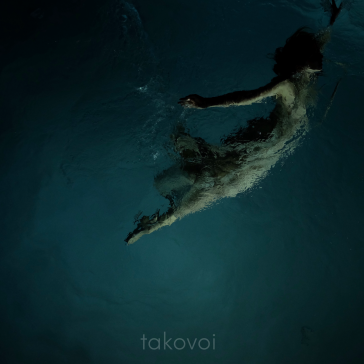 Given the quality of the two original tracks on show on his first Leng outing, something tells us that we’re going to be hearing much more from Moscow-based Takovoi in the months and years ahead. On the A-side you’ll find “5-2-9”, an effortlessly dreamy and Balearic affair that ebbs, flows and slowly unfurls over six spellbinding minutes. The track is built around a chunky, acid style bassline and loose, delay-laden drum machine beats. Yet it’s the drifting and dubbed-out musical elements that cluster around the groove – leisurely keys, yearning trumpet solos and kaleidoscopic, arpeggio style synthesizer melodies – that make “5-2-9” such a magical piece of music. Think of it as a statement of intent. Takovoi’s love of TB-303 style acid lines and mind-altering electronics comes to the fore on “The Fox With The Dog” which sees the up-and-coming producer give his take on the timeless electro sound. It’s as spacey and atmospheric as you’d expect, with exotic electronic refrains and glacial synthesizer lines dancing across the sound-space. The groove – a combination of punchy drum machine hits, heavy acid-style sub-bass, occasional bursts of hand percussion and breakbeats – is pleasingly heavy, too, making this particular electro excursion a bona fide dancefloor delight.